Initially R&D companies work with small volumes in order to test and optimize a number of variables. However, as demand increases, the company will face the need of scaling-up the processes. This must be done carefully as many challenges arise. 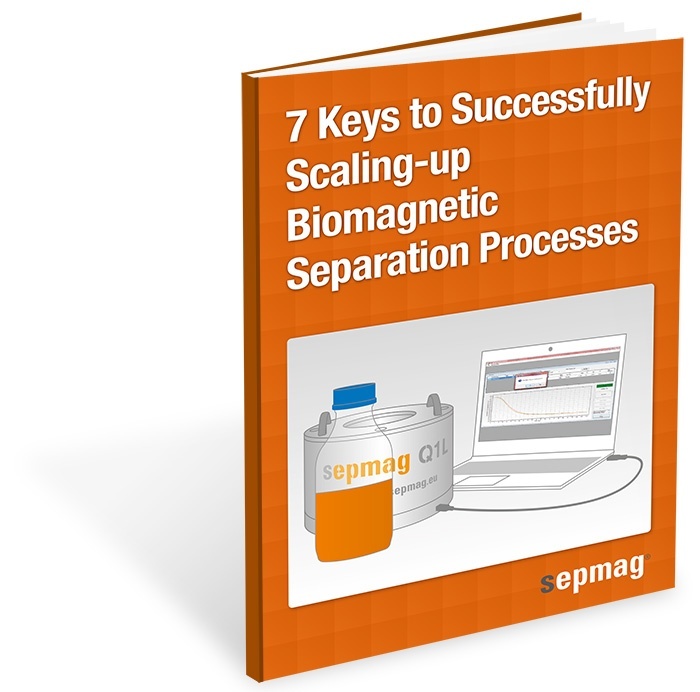 We have prepared for you the 7 Keys to Successfully Scaling-up Biomagnetic Separation Processes to help you understand the scaling-up procedure. Learn how to start facing this challenge. Understand magnetic forces and how the particules behave. How to choose the best conditions and scale them up. Monitor all the process and achieve operational safety.